The 3-Pack Safety set includes knee, wrist and elbow guards that are lightweight and breathable for kids 5-10 years old/ 50-110 lbs. Colour Select Pink Teal Purple - SOLDOUT! The 3-Pack Safety set includes knee, wrist and elbow guards that are lightweight and breathable. 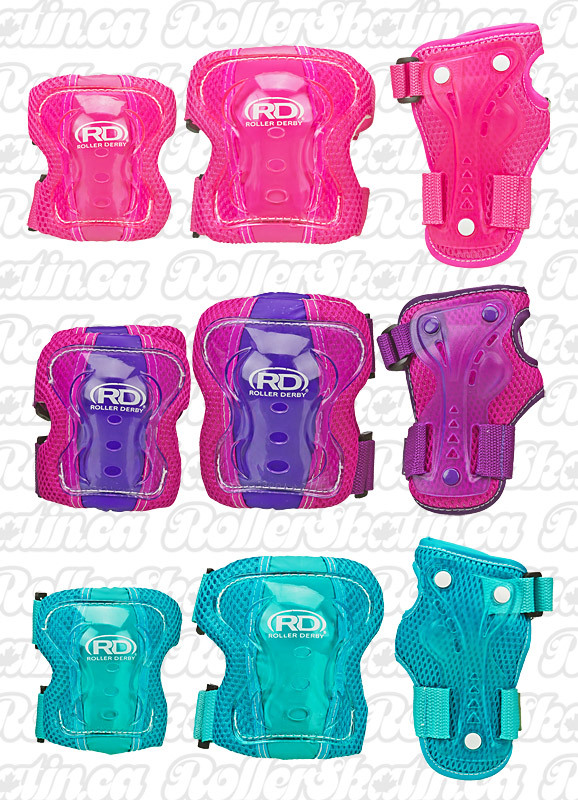 Made by Roller Derby Skate Corp. (Pacer) which has been producing skate products for over 80 years! Generally recommended for kids 5-10 years old/ 50-110 lbs.